Artistes have been called upon to use their talent and popularity in mobilize Nigerians towards unity, peace, tolerance, and productivity. They were also urged to speak against vices that destroy societies like drug abuse, human trafficking, and child abuse. 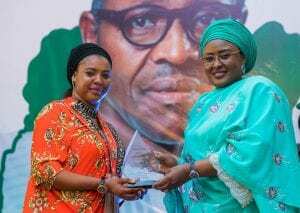 She made the call during the launch of “Sakamakon Chanji”, a song in support of President Muhammadu Buhari by Northern Nigeria Music Artistes, on Wednesday 31st October, 2018 at the Banquet Hall, State House, Abuja. 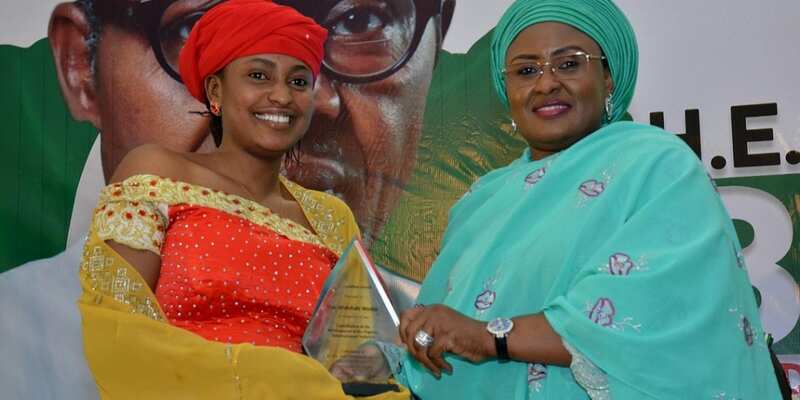 “We are celebrating artistes because they celebrated our President at various points in his political career; and to a large extent, they represent the resilient Nigerian masses that protected the President and his votes until he achieved success.” She said. Mrs. Buhari believed that the song is a true compliment to this administration, as it highlights various visionary projects being undertaken by this administration and the impact that these projects are making. She said it is important that citizens know what their elected government is doing to improve their lives. 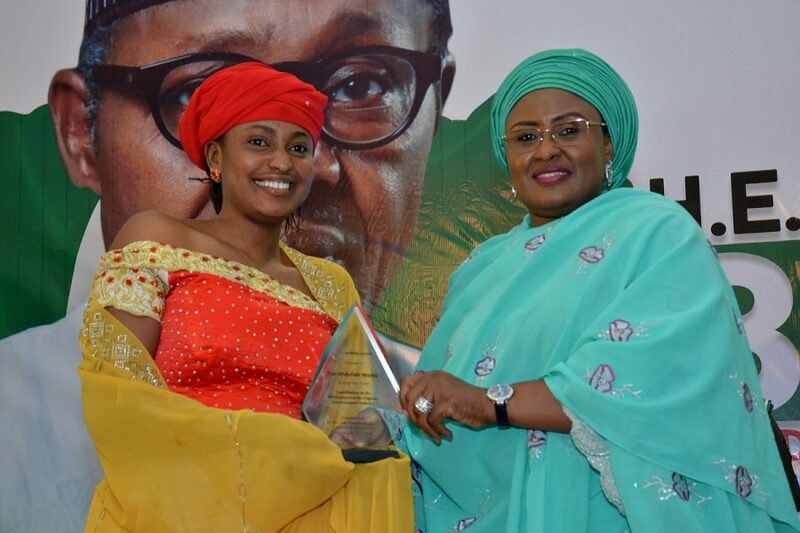 Mrs. Buhari also used the event to honour many of the artistes for using their various talents and contributions in propagating the success of government. She praised artistes for using their creativity to inform, educate and entertain the populace and mobilize them towards good behavior, towards best practices and towards good choices. “I can safely say that you all have done the needful and therefore you are partly to take credit for the improved governance that Nigeria is enjoying today.” She noted that it is important to recognize, celebrate and honour the artistes because their contributions to the success of this government cannot be quantified. The event was honoured with a brief appearance by President Muhammadu Buhari. Apart from performance of the launched song, sung by over 30 artistes and produced by Ahmed Abdul Amart, many other artistes sang songs on the success story of the Buhari administration.